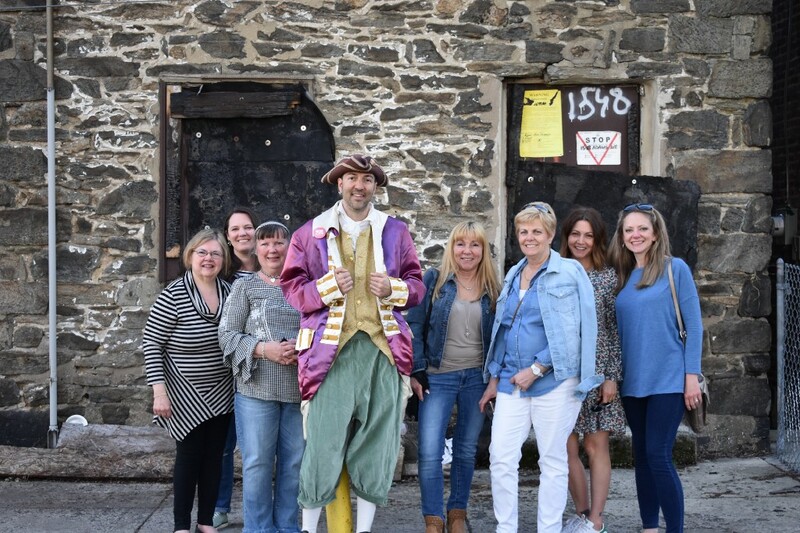 The King’s Highway Foundation offered its first-ever tour of the historic road that is now known as Frankford Avenue. 1781. Cheers rise from villagers as the sound of marching grows louder. Soon, the army is in sight — lead by Gen. George Washington and the Comte de Rochambeau, American and French troops march along the King’s Highway on their way to Yorktown, Virginia, and toward declaring America’s hard-won independence. That particular segment of history is already famous, but residents of Northeast Philadelphia may not be aware that some of it took place right in their neighborhood. What is currently a section of Frankford Avenue was once the highway Washington led his troops down, among many other historical treasures. Last week, history was made on that trail again. The King’s Highway Foundation hosted the first-ever official bus tour of the route, a tour a long time coming. “This has been in the making for many years,” said tour guide Debbie Klak as the trolley pulled out of the parking lot behind All Saints Episcopal Church. The tour was given to the Torresdale Women’s Committee, which reserved the trolley with around 30 seats. Historians Klak and Jason Sherman led the tour, Sherman dressed in time period-appropriate attire. Use of the highway dates to 1667, when it was built by people indigenous to the area. It was officially marked as the King’s Highway in 1675, and became the first legally laid out county road in Pennsylvania in 1686. The 1,300-mile road stretches from Charleston, South Carolina to Boston, Massachusetts. The tour explored ancient schools, churches, cemeteries, mansions and other buildings in the area. 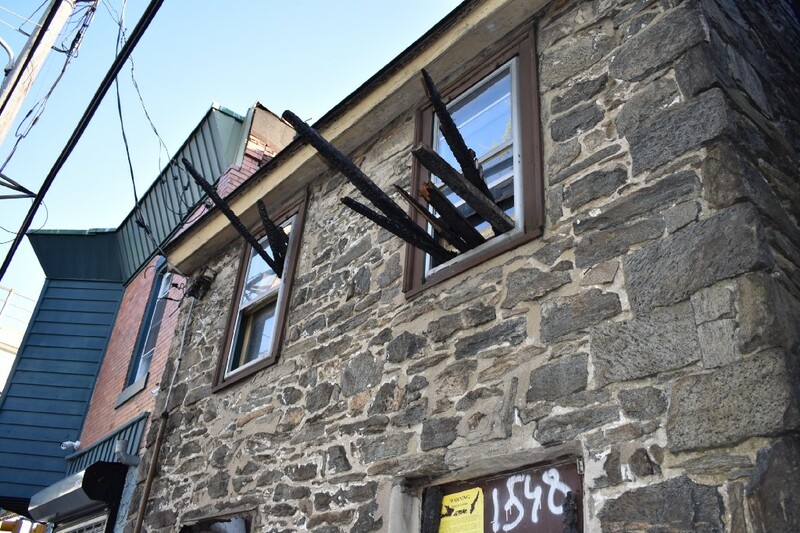 One of the stops visited a home built from stone in Frankford, which is one of the oldest stone houses still standing in the city. The deed of the house located at 1548 Adams Ave. dates it to 1725. It was set for demolition, but saved by a man whose real estate company inherited the building. Instead of knocking it down, he paid to have it fixed up. Also in Frankford is the site where the Jolly Post Inn once stood. A plaque now marks the location at the corner of Frankford Avenue and Orthodox Street. This was the place where Thomas Jefferson was assigned the most important task of his life. Klak is a Northeast Philadelphia historian who finds a lot of her information by looking at graveyard plots. “I know I keep talking about cemeteries, but they’re one of the best ways to discover who lived in the area,” she said. She had pointed out the resting place of Thomas Holme, marked by a large stone obelisk in the Crispin burial grounds at Holme and Convent avenues. He was the founder of the Lower Dublin Academy, the longest continually used school in the state. The King’s Highway Foundation has been working on rediscovering the area’s hidden history for several years. “The spirit of our ancestors and the indigenous tribes who created this road were with us on our historic journey,” Sherman said. Official maps of the tour featuring more than 50 historic sites are available at select locations, such as Stein Your Florist, Sharon Owens State Farm, Giggles Gifts, the Insectarium, Grey Lodge and Mayfair Diner. Tours are not regularly scheduled — a trolley is rented for each tour. 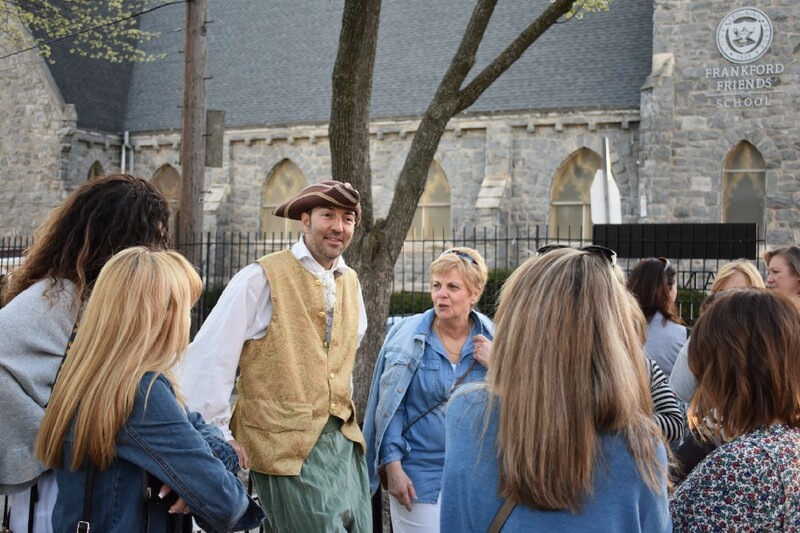 If a group of 30 people is assembled, they can reach out to info@kingshighwayfilm.com or call 215–396–8577 to set up a tour.